Cells avoid the existential threat posed to their viability by the aggregation of non-native proteins by identifying misfolded proteins, degrading or refolding them, or directing their sequestration in protective inclusions. We study how protein folding quality control and aggregation quality control are regulated in the cell over space and time. 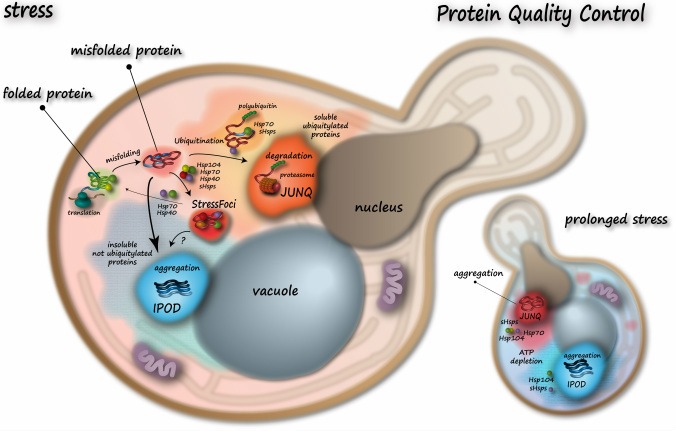 To put it slightly differently, we believe that protein folding quality control and aggregation quality control are regulated by controlling the sub-cellular distribution of specific quality control components at different times during the life of an organism or a cell and at stressful conditions. The overall goal of our lab is to develop a full mechanistic understanding of neurodegenerative disease (including Huntington's, Alzheimer's, Parkinson's, and ALS or Lou Gehrig's Diseases), following the causative chain from the fundamental biology of intracellular quality control in JUNQ, IPOD, Stress Foci, and Stress Granules, all the way up to the selective lethality of proteotoxic stress at the level of neural networks. Our work is aimed at relating what we know about protein folding quality control and aggregation quality control at the biochemical level to the cell biological and physiological phenomena of inclusion formation that we observe in neurodegenerative diseases. To this end we apply a diverse set of tools from biochemistry, to yeast genetics, mammalian cell biology, drug screens, and simple model organisms. Congratulations to Triana Amen for her Cover Article, in Microbial Cell. This is Triana's second cover (she only needs one more...). More 2015-2016 prizes for Kaganovich lab members!! Congratulations to Triana Amen - Triana received the prestigious Jerusalem Brain Community Gold Doctoral Fellowship for 2016-2018. She will be moving to the JBC Gold fellowship, having spent the past two years in the lab as a Bio-engineering Fellow . We are the first lab in Israel to install a SPIM imaging system. This microscope uses 4 simultaneous laser sheets to rapidly image cells and C. elegans in 3D. The advantage of the SPIM system is speed (sub-second 3D stack of 40-100micron volume) and low to non-existent phototoxicity. 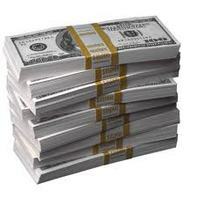 The 2015 prizes for Kaganovich lab members are rolling in! Story on our recent paper published jointly with the Schuldiner lab in Developmental Cell. 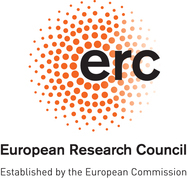 The Kaganovich lab was recently awarded the prestigious ERC Starting Grant by the European Research Council. We are looking for outstanding applicants to help us with this and other exciting projects! Here's a link to the Positions Open flyer. Edmond J. Safra Campus, Givat Ram, Jerusalem, Israel. We are always interested in outstanding, self-motivated, and independent-minded students. If you're interested in applying for a position in the lab, please send me an email at dan@mail.huji.ac.il. In your email please describe what made you interested in our lab and what you think you'd like to contribute to our research. Students looking to join the lab should send me an email detailing their past research experience, their goals and motivation for wanting to join the lab, and a couple of paragraphs describing what they would like to work on. Prospective students are also welcome to come by the lab, meet the lab members, and see if it is a good fit. Students looking for a postdoctoral position should email a brief research proposal (similar to one you would write for a post-doctoral fellowship) describing an independent research direction that is broadly related to the interests of the lab, but also establishes a novel line of inquiry in the field. Although we will have plenty of opportunities to discuss research projects and specific experiments, the proposal is meant to demonstrate fluency in relevant research topics and ability to think and function independently, as is expected of a postdoctoral scientist. Please include one or two letters of recommendation with your CV and application.